We believe that one of the ways to become More Like Jesus is to serve. We also believe that one of the ways to grow deeper in your relationship with others involves not only serving others, but serving others together. Below you will find several ways that you can get involved in serving opportunities. If you don't find a specific area that you feel gifted to serve in, let us know and we will do our best to connect you. 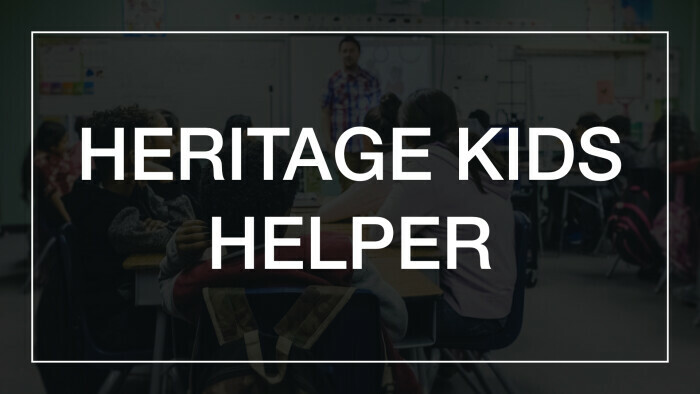 Help and assist a Heritage Kids teacher as you parter together in helping kids become More Like Jesus.